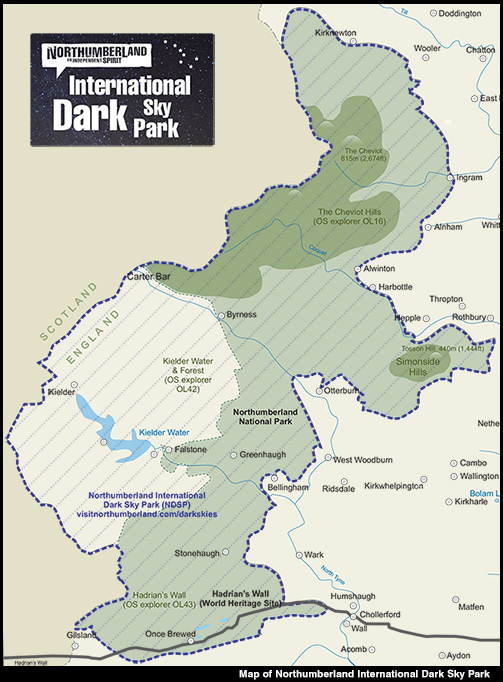 Northumberland International Dark Sky Park is one of many such parks located across the world. They have been designated by the International Dark Sky Association, the recognised world authority on light pollution. Most of the UK's population live in densely populated and light polluted urban areas. They see a handful of stars through an orange glow. 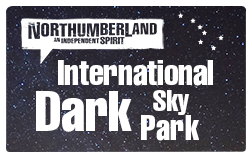 Here in the Northumberland International Dark Sky Park your eyes can feast on up to 2,000 at any one time; the furthest object you can see with your naked eye is the Andromeda Galaxy – a vast island of stars very similar to our own Milky Way. This amazing object is 2.5 million light years away! The Milky Way cannot be seen from built up areas. In fact, 80% of us have never seen it. But here in the Northumberland International Dark Sky Park, we see it in all its glory, looking like an elongated glow between the stars. Use binoculars and you will see its arms stretch out on both sides from a bright central core. Meteor showers are also best viewed from dark locations. These 'shooting stars' are grains of dust from the tails of comets burning up when they enter the Earth's atmosphere and The Northumberland International Dark Sky Park is the best place in England to see the Aurora. See further information on websites that predict when these will occur. When is the best time to Watch Dark Skies? The best time to view the moon is when it is in a partial phase, for instance first quarter. You will be rewarded with views of craters and mountain chains cast into sharp relief by slanting sunlight. Planets are unaffected by the moon's presence and Jupiter, Saturn, Venus and Mars can all be observed when they are above the horizon. Mid-summer nights don't get properly dark so from early May to late July the sky may look beautiful, but you won't see many stars. However, it is a great time to see planets, including the daytime Blue Jupiter. 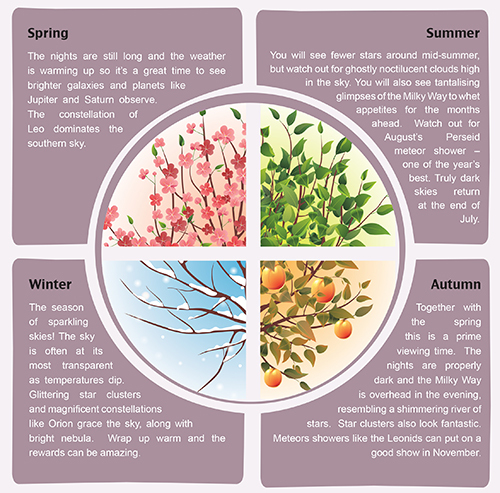 Throughout the year, the main obstacles are the weather and the moon. The moon is a wonderful object to view with a telescope or binoculars, but its brightness makes the fainter stars hard to see. The starriest view of the heavens comes when the moon is out of the way – the so-called new moon period. Most diaries will tell you when this is. We are rightly proud of our dark skies but, like elsewhere, light pollution is a constant threat. We are working with our communities and helping developers implement measures that will reduce light pollution. You can help us to keep light pollution to a minimum during your visit by bringing red torches to light your way.